It was an unexpected and special gift from Swami this Deepawali. 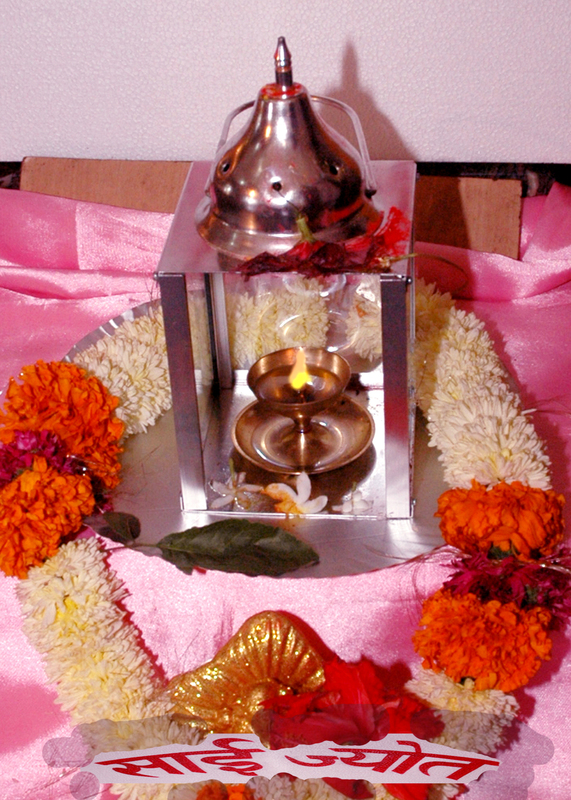 The lamp lit from the Akhand Jyoti of Dharmashketra was given to the Sai devotees to bring it to Goa and let it pass from one samiti to other. On 18th of October at Dharmasketra, there was a meeting of all the Maharashtra and Goa Sai samiti districts youth coordinators to discuss on the forthcoming Sai Youth Yatra to Puttaparthi scheduled on 2nd – 5th Jan 09. While returning they came with the ‘Sai Jyoti’. Traveling about 650 kms the Sai youths brought the ‘Sai Jyoti’ to Karmali. This Sai jyoti will be passed on to all the samitis in the state of Goa and later taken to Puttaparthi before Swami. Each samiti would carry out various programs when the ‘Sai Jyoti’ would stay with them. The Sai Jyoti will stay in each Samiti for an about nine days. *Chanting of vedam (preferably Rudram)- 15 mins. *Chanting of Sai Gayatri – 10 mins. *Hanuman Chalisa – 10 mins. If time favours bhajans, meditation, study circle and satsang can be added to the program. Join in the programs and seva activities and attain the joy Swami wants to gift you. This act is the reflection of the mind of sai youth in goa who really wants each and every person in the household should get transform and follow the path of DIVINE. And of course our SAI MAA will bless for this golden step. Keep it up………………………..